A new standout in concealed carry performance. 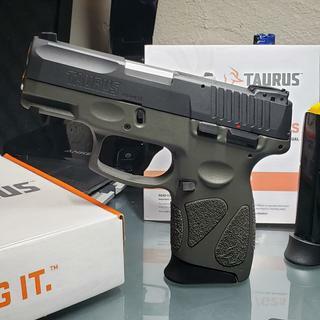 The Taurus G2C series was engineered specifically for everyday carry, and it delivers. With its streamlined, ergonomic, rugged design and compact polymer frame, you'll find the G2 series strikes the perfect balance between comfort and confidence in any situation. HAVE THEY IMPROVED THE TRIGGER ON THESE NEW MODELS? BEST ANSWER: I have the PT111 G2. I like it. It gets better the more I shoot it. CAN YOU SHOOT THE PLUS P AMMO IN THIS GUN ? BEST ANSWER: It's possible to, but it is not rated for +p ammo, and thus highly not recommended. BEST ANSWER: Better check with the Kremlin first. 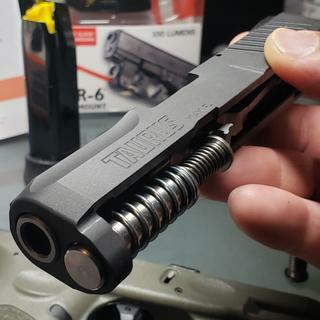 Is there a manual safety on this particular G2C like there is on the others being sold by PSA? BEST ANSWER: Yes there is. How many magazines comes with the gun? BEST ANSWER: 2 twelve round magazines. How the mail in rebate works ? How many mags come with it? How do I use the rebate? Can I get the black and OD green instead of the black which I ordered last month and still to receive also I need to get this rebate which I wasnt offered then? Can you ship to Florida? Taurus hit a home run with this one! Lots of similarities to their Millenium model that has been replaced by the G2C but some improvements too -- including getting rid of that funky ridiculous security key! A very nice reset for those follow up shots. Perfect size AND holds a pretty nice 12+1! Great price from PSA good features plus a cash rebate. What are you waiting for! Love the green. Looks brown in the picture. I've owned a couple of these in the past, but got rid of them for other firearms. Just picked it up yesterday. Fired 200 rounds through it today. No hiccups what so ever. The rebate made it a better deal. I bought the G2C just by going on online reviews and man am i glad that i did! So far i havent had one single FTF OR FTE. I love that it is 2 strike capable. 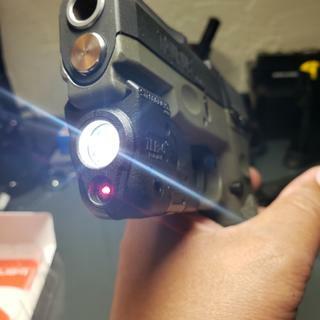 For the price you cant go wrong with this gun. 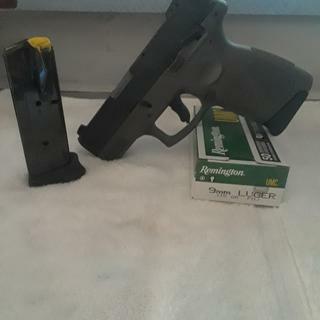 The grips are very good and if its too much for you then a little sandpaper lightly over the areas you feel is too ruff is simple to fix to your preference. I purchased a G2C two weeks ago (prior to rebate) and I love it. Awesome concealed weapon for the price. 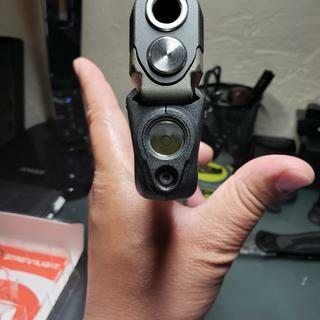 It is .2 inches wider than the S & W 9mm I purchased at the same time. I feel this is a great trade off for the 12 + 1 rounds. My wife (I told her I purchased both for her) prefers the Taurus. Don't get your shorts in a twist. I have asked PSA politely and I am hopeful they will extend the rebate to my last purchase. They have responded favorably to every request but 1!! 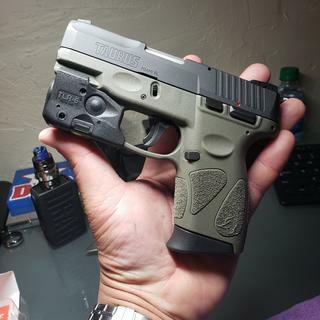 I feel they should donate $5 from every purchase to my divorce legal fund....when the wife discovers how many guns and ammo I have been hypnotized into purchasing already this year and she will bury me in the Gulf of Mexico in a crab trap without a buoy!! Thanks PSA! !